Welcome to this rarely available, and beautifully renovated four bedroom with three full bathroom home. Residence 4EF is exquisite and in immaculate condition with no detail overlooked. The open floorplan to the living and dining room is accentuated by six large windows with unobstructed northern and Riverside Park views. 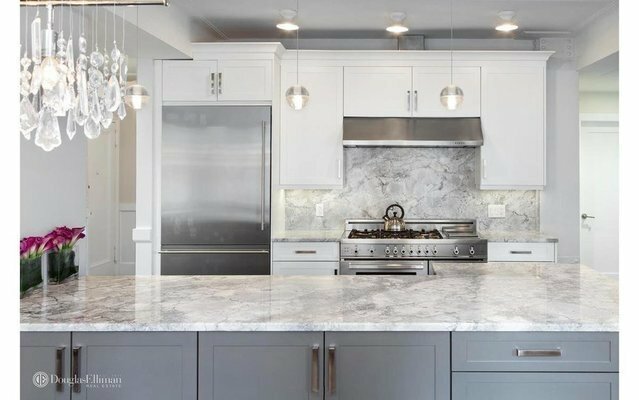 The center point is a gorgeous and spacious chef's kitchen with top appliances including a six burner Bertazzoni oven, an oversized Liebherr fridge with double freezer drawers, Brazilian Arabescato Quartzite countertops and an abundance of storage. The Master Bedroom suite features skyline western views, an expansive walk-in closet and a luxurious five fixture master bath with an antique style, claw foot tub and detailed with Ann Sachs tiles. The secondary bedrooms are generous in size, with outfitted closets, and both bathrooms have been thoughtfully redesigned with intricate details and all glass enclosures, one with an en-suite oversized stall shower and servicing the other two bedrooms is the hallway bath with beautiful tile work and an extra large soaking tub. Additional features include a built-in wet bar with a nickel plated sink and wine fridge, a custom gas fireplace and sound system throughout. Located in the most coveted area of the Upper West Side, 310 West 72nd Street is a full service pre-war coop with a 24 hour doorman, live-in resident manager, children's playroom, laundry, storage and bike room. Steps away from Pier1 and the waterfront, Riverside park, Lincoln Center, Columbus Circle, amazing shopping, local and express transportation one block away, top schools and fabulous restaurants.